Contact us today for a friendly quote on your Gas Fitting Services ! Active Gas Services specialises in the installation, repair, maintenance and safety inspection of water heaters and gas boilers for residential homes and commercial businesses across Brisbane, Logan, Cleveland, Redlands and surrounding South-East Queensland suburbs. Contact us online or call 0407 640 331 to get started! Moving into a new home? Starting a new business? Active Gas will get you started by installing the best gas hot water system for your needs. Book now. Our experienced gas fitters can perform safe, fully licensed servicing, replacement, repairs and renewal of all water heating systems, including Bosch & Rinnai replacement parts. Book now. 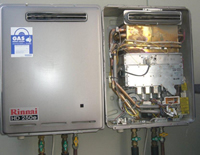 As a licensed mobile gas fitter, we specialise in the installation and servicing of Rinnai hot water systems. Book now. 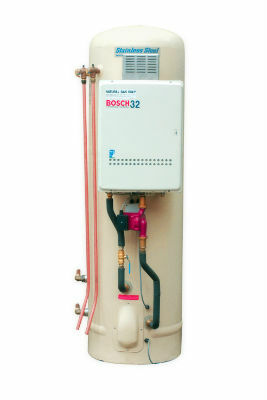 our Bosch product experts will keep your water heater system running smoothly and safely. Book now. Enjoy the latest and greating instantaneous(aka continuous) water heating systems on the Australian market Book now. We'll fit or repair any indoor or outdoor gas water heating system. Book now. Contact us online today for a quote (free for installations), or phone 0407 640 331 to discuss the best gas water heating options for your home, office, business or organisation.